For over 10 years, the innovative engineers at AIM Sports have been creating high-performing, game-changing optics and other firearms equipment for users across the world. The XPF Series 1 - 4X24mm FFP Rifle Scope continues this tradition with superior craftsmanship and a host of state-of-the-art, performance-driven features. The scope features a Tri-Illuminated Mil-Dot Reticle with an adjustable rheostat for custom brightness control. As the magnification range of the optic is increased, the ballistic holdovers of the reticle will remain the same as the size of the target increases. The laser-etched reticle and first focal plane are designed for long-distance accuracy. Adjustable, precise and accurate, this scope is ideal for tactical situations and will also provide greater accuracy of range estimation for hunters and target shooters. The green-fused, multi-coated lens is nitrogen-sealed for all-weather performance and provides superior light transmission, resolution and scratch resistance. 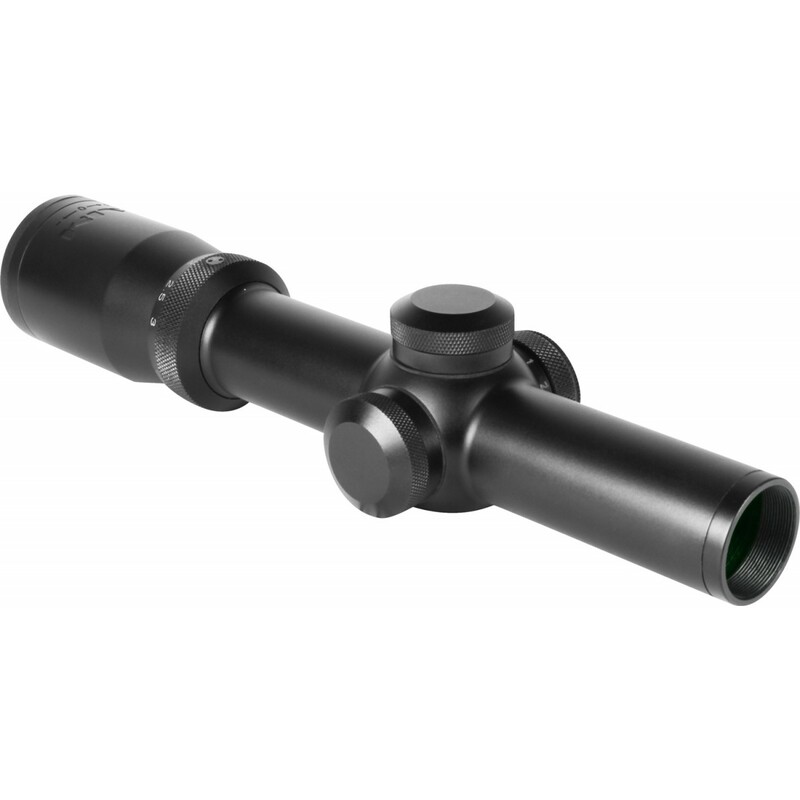 The scope itself is milled from a solid piece of aircraft grade aluminum to withstand constant heavy recoil. It's also encased in a fog-proof and shock-resistant housing for extra durability. Get the industry's best for your rifle: order the AIM Sports XPF 1 - 4x24mm FFP Mil Dot Rifle Scope in matte black here at Airsoft GI today!